When you’re only seven years old, the world can be a curious place. While some children may take everything for granted, there are others who are so inquisitive about what surrounds them that they ask numerous questions to determine the who’s, what’s, when’s, where’s and why’s of the world they live in. These are the children who embrace learning, and who- when it comes to survival- have a far better chance than their less-than-inquisitive peers. Such is the case for Anna Ƚania. As a professor of linguistics at the Jagiellonian University in Kraków, her father ensures that his little girl is able to perfectly grasp the fundamentals of German, Russian, French, and English (as well as her native Polish, and a little bit of Yiddish, Ukrainian, Armenian and Carpathian Romany). This fluent elocution of several languages, as well as a natural interest in the world around her, ensures that Anna has an extreme head-start when it comes to surviving the harsh political landscape of a suddenly Nazi-occupied Poland. This becomes doubly important when Anna’s father leaves for a University meeting one morning- both of them unaware that this is the last time they will ever see each other again. Although not Jewish, Anna’s father, as well as all other professors and people of prominence who are considered a threat, are rounded up by the Nazis and sent to concentration camps. Anna, who is left in the care of an acquaintance, begins to realise after several days that she is unlikely to see her father again, and is at a loss about what to do. It is at this point that a mysterious man comes into her life. Fluent in just as many languages as she, as well as owning the ability to ‘speak’ to birds, the man eventually takes Anna under his wing, thus ensuring her survival. Deprived of his real name, Anna calls him ‘The Swallow Man’, learning many things from him about nature and survival as they traverse the Polish landscape. As the years bleed into one another, the pair encounters numerous people of interest- both good and bad- and they form a strong and unusual bond. Despite her young age, Anna is exposed to many challenging aspects of the war, and although the Swallow Man tries to shield her from the worst of it, he also doesn’t hold back from allowing her to see the terrible reality that surrounds them. 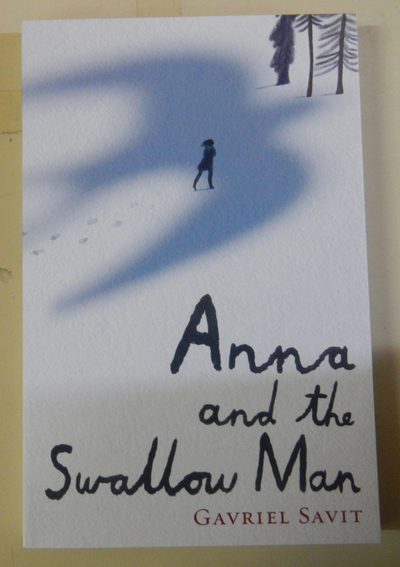 Anna And The Swallow Man is an unusual novel- at times, it seems more like adult literature than a novel for young adults. The journey that the duo share is also quite unique- walking continuously across Poland (even across the border for a brief time), and searching for the Swallow Man’s ‘mystical bird’. Anna never really questions the Swallow Man’s motives, preferring to trust in him and his methods as long as they remain safe from harm. And while she has a strong respect for him, she is also aware of his weaknesses, his strange nuances and his unusual nature, which lie in stark contrast to those of another key character in the novel, Reb Hirschl. This novel is a compelling read, and while the ending may come as a surprise, this is a war-themed novel that is definitely unique- and infinitely more incredible- in comparison to others of a similar genre.